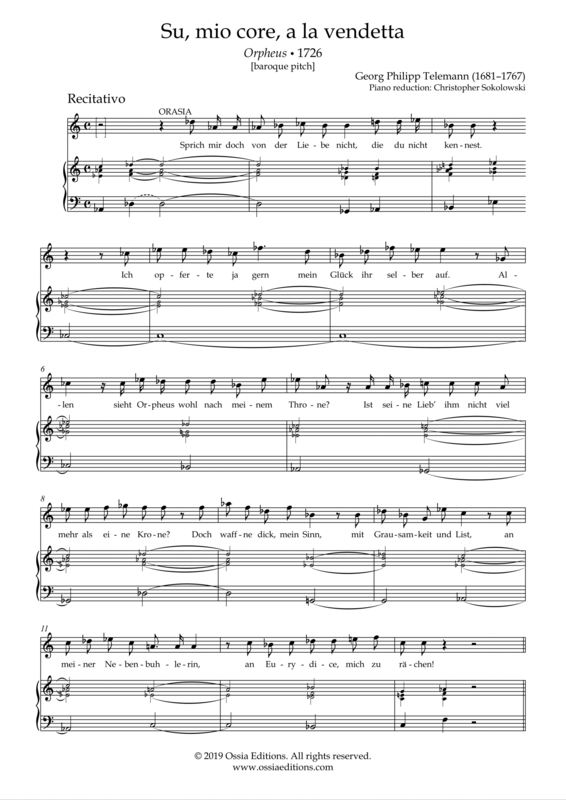 Orasia’s aria from Telemann’s 1726 opera Orpheus, ossia Die wunderbare Beständigkeit der Liebe oder Orpheus. 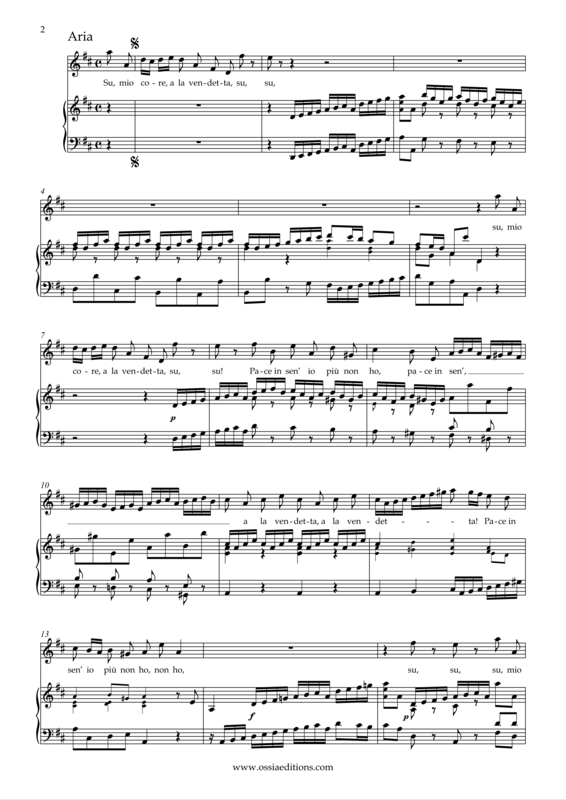 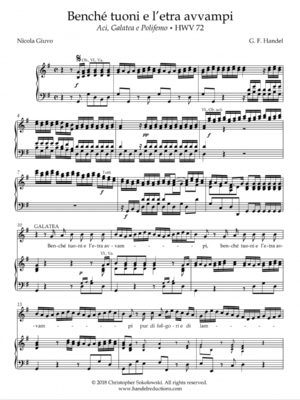 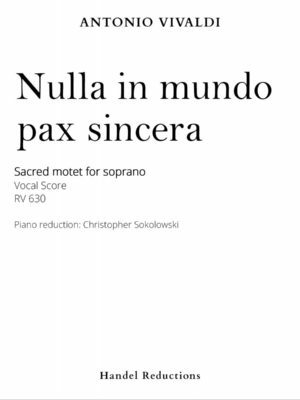 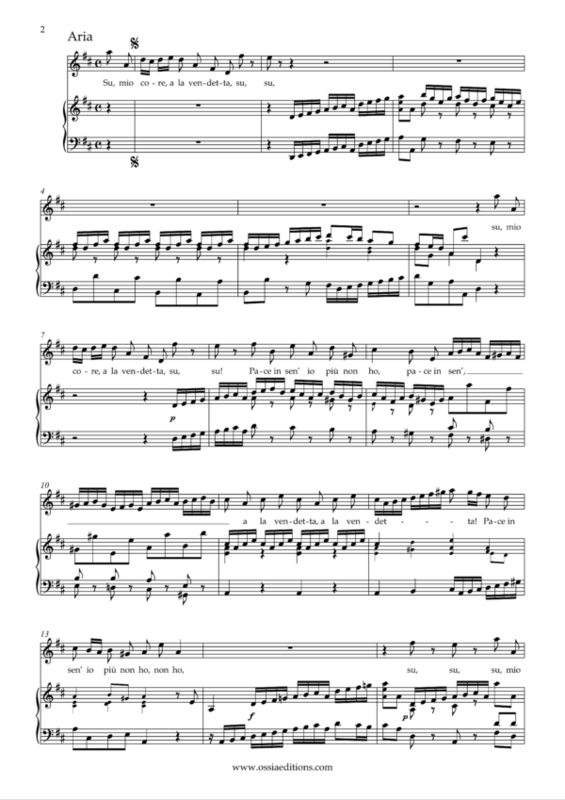 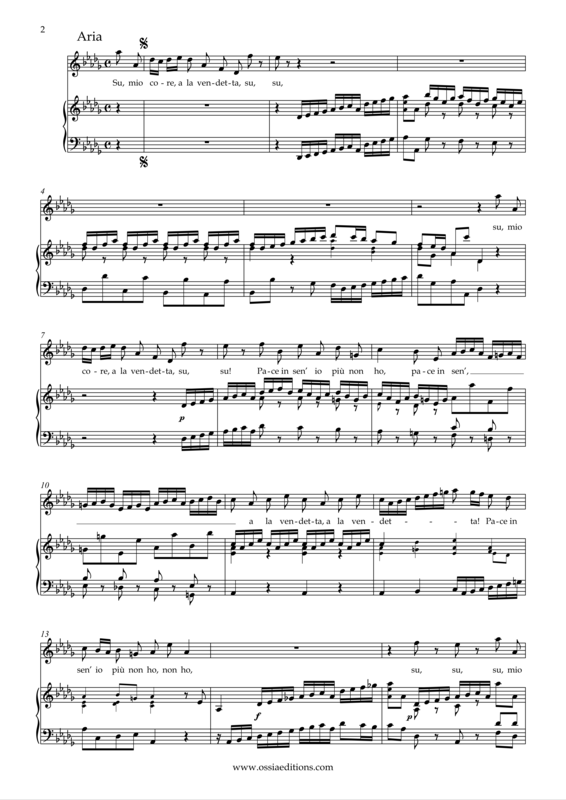 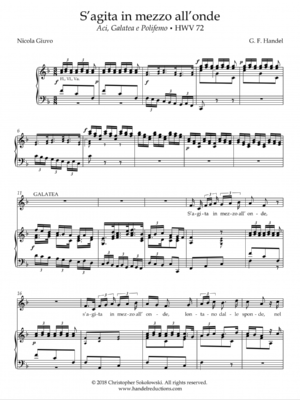 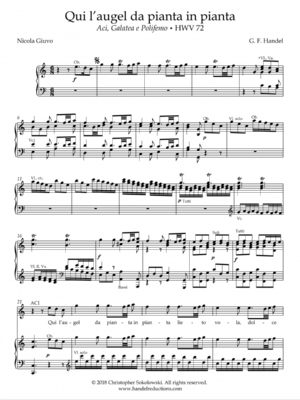 Includes preceding recitative, and the score in baroque transposition. Piano/vocal score.